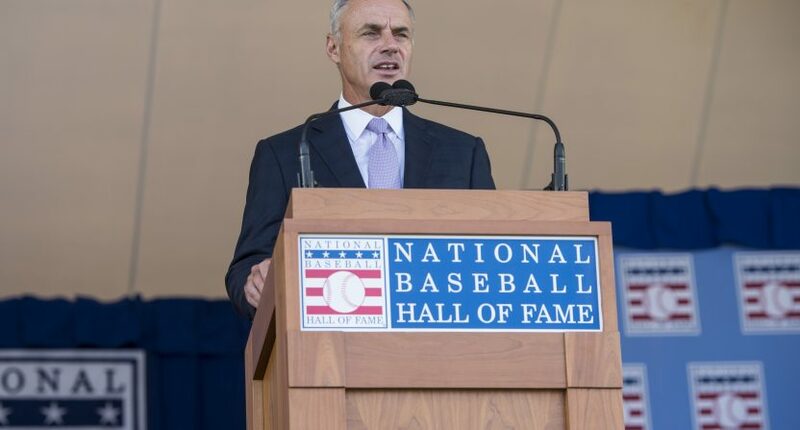 Rob Manfred thinks it’s important to respect the President of the United States, regardless of whether you agree with him or not. Manfred spoke to the media before Game 2 of the World Series between the Boston Red Sox and Los Angeles Dodgers on Wednesday. When the topic of the president came up, Manfred suggested it’s important to respect the president even with personal and political disagreements. That might be a difficult sell for players and MLB staff who’ve been effectively directed by current president Donald Trump’s decisions and public comments. For example, Alex Cora, who’s got a legit shot at a White House visit, called Trump’s insensitive tweets about Peurto Rice (where he’s from) “disrespectful.” There’s a good reason some in MLB circles aren’t pleased with the current White House. Players, managers and whoever gets offered a White House visit should choose whether they want to go or not. Respecting the office is one thing. Respecting Trump? That’s a whole different ballgame.